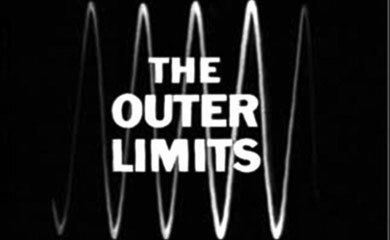 Outer Limits’ fabled power to control the horizontal and vertical on your TV is getting an upgrade – a movie version will give the franchise command of the big screen when it comes to theaters. The duo will be tackling time travel, alien invasion and genetic manipulation in adapting the episode, which focused on a man with no memory beyond the last 10 days of his life and a computerized hand who discovers he is from the future. 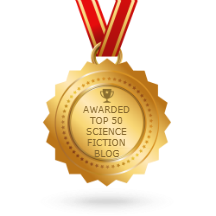 The man is being hunted by an alien race who see him as key to their survival, but he soon discovers a more complex and terrifying truth. 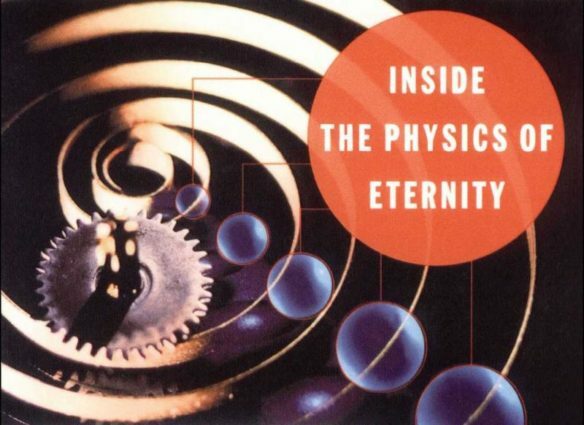 Incidentally, October 17 of this year will mark the 50th anniversary of the TV episode’s first broadcast. 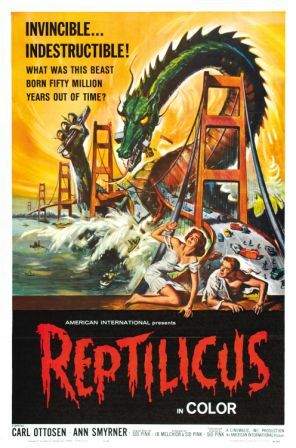 Scott Derrickson is a very busy man these days. He was just signed to direct Marvel’s Doctor Strange movie. Another film he co-wrote and directed, Deliver Us From Evil, opens July 2. This is the shop I just discovered that has been around, in one form or another, for thirty some odd years. I was only in there for ten minutes but the shop has promise. 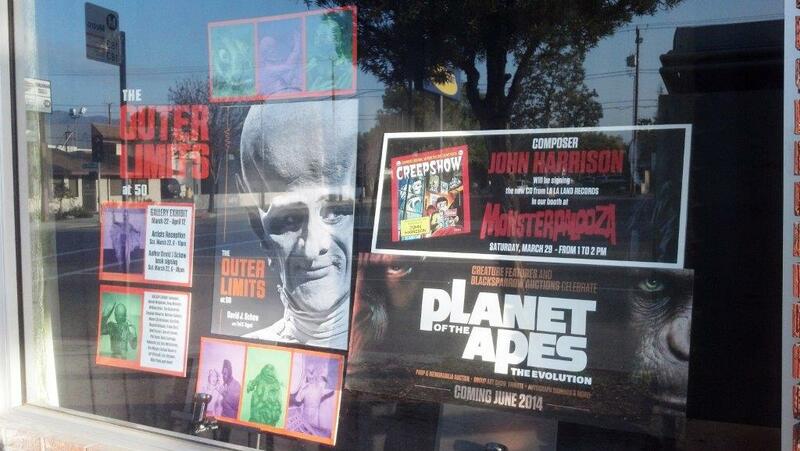 Creature Features hosted a signing of Outer Limits at 50 by David J. Schow on March 22 and is attracting attention with an Outer Limits themed gallery exhibit that will be open through April 12. 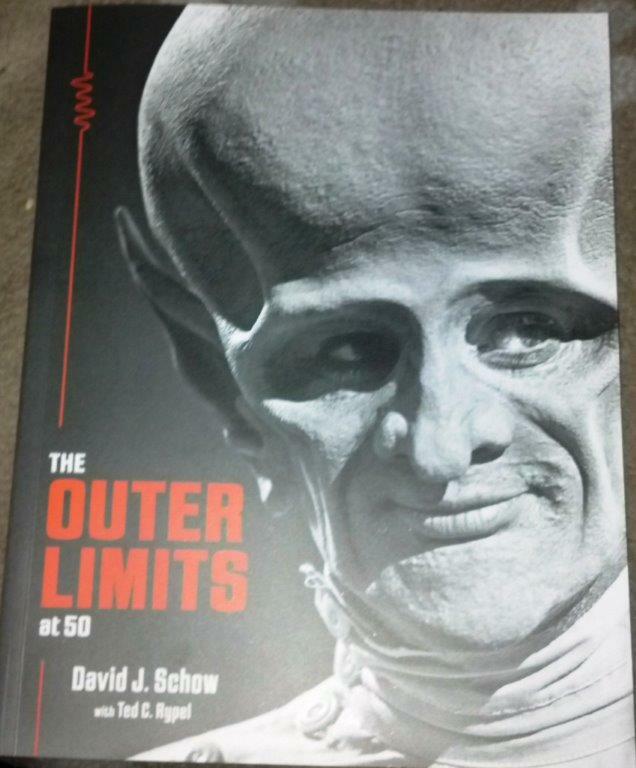 The book is a soft-cover coffee table book and the reason I just HAD to have it, other than the geek factor, is that a neighbor of mine, when growing up in Toluca Lake was on the back cover, Ralph Meeker…actually the episode he was featured. The exhibit is an art tribute featuring newly commissioned paintings, illustrations and sculptures alongside original props and vintage memorabilia from the show. Participating artists include Steve Bissette, Tim Bradstreet, Norman Cabrera, Monte Christiansen, Ken Daly, Ricardo Delgado, Frank Dietz, John Fasano, Wolf Forrest, Garrett Immel, Phil Joyce, Bob Lizzaraga, Rebecca Lord, Gregory Manchess, Ken Mitchroney, Kemo (aka Ken Morgan), Rafael Navarro, Greg Nicotero, Mike Parks, Jeff Pittarelli, Eric October, Tim Polecat, Mike Soznowski, William Stout, Woody Welch, and Bernie Wrightson. 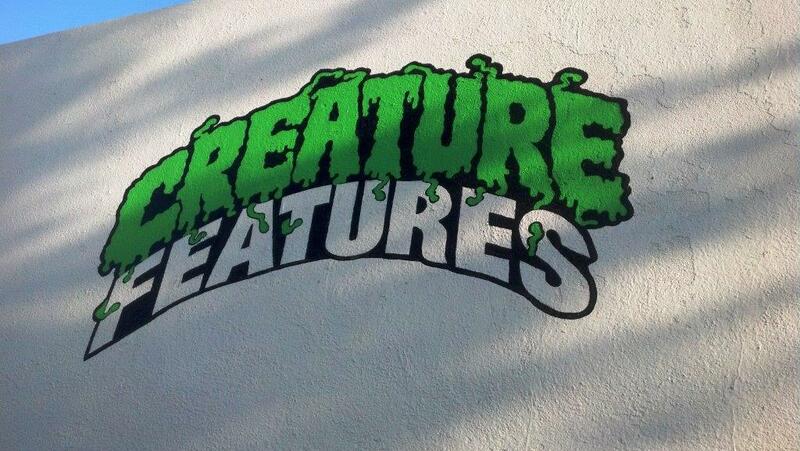 Creature Features is located at 2904 W. Magnolia Blvd., Burbank, CA 91506. 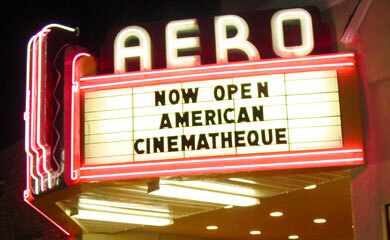 Regular store hours are: Tuesday-Saturday 11 a.m.-6 p.m. and Sunday 11 a.m.-4 p.m.